Address 117 Argyle Street, Homantin, Kowloon, Hong Kong. Dr. Dickson K.W. Chiu received the B.Sc. (Hons.) degree in Computer Studies from the University of Hong Kong (HKU) in 1987. He received the M.Sc. (1994) and the Ph.D. (2000) degrees in Computer Science from the Hong Kong University of Science and Technology (HKUST). He started his own computer company while studying part-time. He has also taught at several universities in Hong Kong and served as a Research Fellow at the City University of Hong Kong. He is currently teaching at the HKU. His research interest is in information management, service science, and library science with a cross-disciplinary approach and the results have been published in about 200 papers in international journals and conference proceedings, including many practical master and undergraduate project results. He received a best paper award in the 37th Hawaii International Conference on System Sciences in 2004. He is the founding Editor-in-chief of the International Journal on Systems and Service-Oriented Engineering and EAI endorsed Transaction on e-Business, co-Editor-in-chief of International Journal on Organizational and Collective Intelligence, and EAI endorsed Transaction on Industrial Networks and Intelligent Systems, and serves in the editorial boards of several international journals. He co-founded several international workshops and co-edited several journal special issues. He also served as a program committee member for over 100 international conferences and workshops. Dr. Chiu is a Senior Member of both the ACM and the IEEE, and a Life Member of the Hong Kong Computer Society. Please email to me for details with you filled "Research Topic Worksheet" at the last slide. We can discuss other possibilities related to your previous experience, studies, and interests. Best Paper Award - 37th Hawaii International Conference on System Sciences (HICSS37), Jan 2004 - "Alert Driven E-Services Management"
Information Systems Frontiers (SCI-E) - Guest Editor: Special Issue on “Emerging Social and Legal Aspects of Information Systems with Web 2.0,” 2009. Guest Editor, Special Issue on “Service Intelligence and Service Science,” 2008. Special Issue on “Service Intelligence and Service Science,” 2008. Workshop co-chair: International conference on Web-based Learning, Hong Kong, Dec 2011; Sinaia, Romania, Sept. 2012; Kenting, Taiwan, Sept 2013. Founding Co-chair: International Symposium on Knowledge Management and e-Learning, Hong Kong, Dec 2011; Sinaia, Romania, Sept. 2012; Kenting, Taiwan, Sept 2013; Tallinn, Estonia, August 2014; Guangzhou 2015. Workshop co-chair: 11th International conference on Web Information System Engineering (WISE 2010), Hong Kong, Dec 2010. 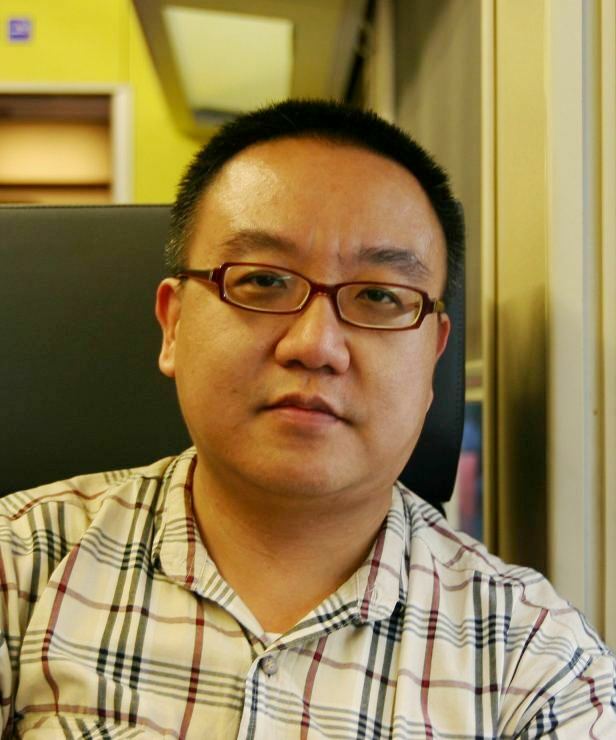 Founding Co-chair: International Symposium on Web Intelligent Systems and Services, Hong Kong, Dec 2010, Macau, Dec 2012. Founding Co-chair: International Workshop on Cloud Information Systems Engineering, Hong Kong, Dec 2010. Founding Program Co-Chair: International Workshop on Mobile Business Collaboration, Brisbane, Australia, April 20, 2009; Hong Kong, Dec 2010. Founding Program Co-Chair: The 1st International Workshop on Web-based Contents Management Technologies (WCMT 2009), Suzhou, China, April 7, 2009; JuJaiGuo, July, 2010. Founding Co-Chair, International Workshop on Business Intelligence Methodologies and Applications (BIMA'08), October 22-24, 2008, Xi'an, China; Macau, 2009. Workshop founding Program Chair, International Workshop on Mobile Business Collaboration (MBC 2009), Brisbane, Australia, April 20, 2009; Hong Kong, Dec 2010. Program Chair, The 1st International Workshop on Web-based Contents Management Technologies (WCMT 2009), Suzhou, China. Workshop founding Co-Chair, International Workshop on Electronic Service Marketing (ESM 2008), Honolulu, Hawaii, July 2008. Workshop founding Co-Chair, International Workshop on Social and Legal Aspects under Emerging Computing Environments (SLAECE 2008), Athens, Greece, June 2008. Workshop founding Co-Chair, International Workshop on Service Oriented Knowledge Management, Hong Kong, Oct 26, 2007 (SOKM 2007); Xi’an, Oct 12, 2008 (SOKM 2008). Workshop founding Co-Chair, International Workshop on Service Intelligence and Service Science, Hong Kong, Oct 17, 2006 (SISS 2006); Beijing, China, September 2008 (SIC 2008). Theme founding Co-Chair, Service Intelligence and Service Science. International Conference on Machine Learning and Cybernetics (ICMLC 2007), Hong Kong, Aug 19-22, 2007. Mini-Track founding Co-Chair, Contract Management and Decision Support in Service Science. 39th Hawaii International Conference on System Sciences (HICSS39), Kauai, Hawaii, Jan 2006. Lo, Patrick, Dukic, Zvjezdana, Chiu, D.K.W., Ikeuchi, Ui, Liu, Jing, & Lu, Yang. (2015) Why Librarianship? A Comparative Study Between University of Tsukuba, University of Hong Kong, University of British Columbia and Shanghai University. Australian Academic & Research Libraries. Accepted. Chan, M. W. M., Chiu, D. K. W., & Chung, Ada C. W. (2015). Developing Forward and Reverse e-Auction with Alert Support in a Web Service Environment. International Journal of Systems and Service-Oriented Engineering (IJSSOE), 5(2), 73-94. Zhuang Y., Li Q., Chiu D.K.W., Wu Z.A., and Hu H.Y. (2014). Efficient Personalized Probabilistic Retrieval of Chinese Calligraphic Manuscript Images in Mobile Cloud Environment, ACM Transactions on Asian Language Information Processing (TALIP), 13(4), 18. Wen S.T., Tang C.G., Li Q., Chiu D.K.W., Liu A. and Han X.L. (2014) Probabilistic top-K dominating services composition with uncertain QoS, Service Oriented Computing and Applications, 8, 91-103. Yi Zhuang, Nan Jiang, Zhiang Wu, Qing Li, D.K.W. Chiu, Hua Hu, Efficient and robust large medical image retrieval in mobile cloud computing environment, Information Sciences, 263:60-86. Woodas W. K. Lai, Dickson K. W. Chiu, Zaiwen Feng. A collaborative food safety service agent architecture with alerts and trust. Information Systems Frontiers 15(4): 599-612, 2013. Laor Boongasame, D.K.W. Chiu. Preference Coalition Formation Scheme for Buyer Coalition Services with Bundles of Items. International Journal of Systems and Service-oriented Engineering, 3(2):64-77, 2012. Yuqing Sun, D.K.W. Chiu, B. Gong, X. Meng, P Zhang. Scheduling mobile collaborating workforce for multiple urgent events. Journal of Network and Computer Applications, 35(1):156-163, 2012. SUN, Yuqing, Matthias Farwick, Patrick CK Hung, Dickson KW Chiu, and Guangjun JI. Context-Aware Task Allocation for Quick Collaborative Responses. Chinese Journal of Electronics, 21(3), 2012. HU, Haiyang, Hua HU, and D.K.W. CHIU. A Framework for Service-based Business Process Collaboration. Journal of Computational Information Systems, 8(4):1791-1803, 2012. D.K.W. Chiu, H. Sasaki. Editorial Preface: Special Issue on Intelligent Web Systems / Web services. International Journal of Systems and Service-oriented Engineering, 2(1-2), 2011. D.K.W. Chiu, R.Y.K. Lau, W. K. Cheung, A. Karduck. Editorial Preface: Service-Oriented Knowledge Management and Business Intelligence. International Journal of Systems and Service-oriented Engineering, 1(2), 2010. D.K.W. Chiu, S.C. Cheung, S. Till, L. Narupiyakul, & P.C.K. Hung. Enhancing E-service Collaboration with Enforcement and Relationship Management: a Methodology from Requirements to Event Driven Realization. International Journal of Organizational and Collective Intelligence, 1(1):15-43, 2010. D.K.W. Chiu, P.C.K. Hung, H.-f. Leung. Guest Editorial Preface: Challenges and Opportunities for Service Intelligence: The Next Wave of Service Computing. International Journal of Organizational and Collective Intelligence, 1(2), 2010. D.K.W. Chiu, S.C. Cheung, H.-f. Leung, P.C.K. Hung, E. Kafeza, H. Hu, M. Wang, H. Hu, Y. Zhuang. Engineering e-Collaboration Services with a Multi-Agent System Approach. International Journal of Systems and Service-oriented Engineering, 1(1):, 2010. D.K.W. Chiu. Editorial Preface: Challenges and Opportunities for Systems and Service-Oriented Engineering, International Journal of Systems and Service-oriented Engineering, 1(1), 2010. S.C. Cheung, Dickson K. W. Chiu, and Cedric Ho. The Use of Digital Watermarking for Intelligence Multimedia Document Distribution. Journal of Theoretical and Applied Electronic Commerce Research (JTAER), 3(3):103-118, 2008. D.K.W. Chiu, Q. Li and K. Karlapalem. Facilitating Exception Handling with Recovery Techniques in ADOME Workflow Management System, Journal of Applied Systems Studies, Cambridge International Science Publishing, Cambridge, England, 1(3):467-488, 2000. D.K.W. Chiu, Q.Li. A Three-Dimensional Perspective on Integrated Management of Rules and Objects, International Journal of Information Technology, 3(2):98-118, Dec 1997. D.K.W. Chiu, Lick Lun Nick Ng, Lai Sau Chan, Matthias Farwick, Patrick C. K. Hung: Automating Tendering Processes with Web Services: A Case Study on Building Construction Tendering in Hong Kong. Advanced Web Services 2014: 311-338, Springer. D.K.W. Chiu (ed). Mobile and Web Innovations in Systems and Service-Oriented Engineering. IGI Global, 2013. ISBN 1466624701. D.K.W. Chiu (ed). Theoretical and Analytical Service-Focused Systems Design and Development. IGI Global, 2012. ISBN 1466617675. Hideyasu Sasaki, D.K.W. Chiu, Epaminondas Kapetanios, Patrick C.K. Hung, Frederic Andres, Ho-fung Leung, Richard Chbeir (eds). Intelligent and Knowledge-Based Computing for Business and Organizational Advancements. IGI Global, 2012. ISBN 146661577X. D.K.W. Chiu, L. Bellatreche, et al. (Eds) Web Information Systems Engineering: WISE 2010 International Symposium WISS, and International Workshops CISE, MBC. Hong Kong, China, December 12-14, 2010. Revised Selected Papers. Springer LNCS 6724, 2011. D.K.W. Chiu, Thomas Trojer, Hua Hu, Haiyang Hu, Yi Zhuang, P.C.K. Hung. Flow-based Adaptive Information Integration. In Minhong Wang, Zhaohao Sun (Ed), Handbook of Research on Complex Dynamic Process Management: Techniques for Adaptability in Turbulent Environments, ISBN: 978-1-60566-669-3, IGI Global, 2009. D.K.W. Chiu, S.C. Cheung, and H.F. Leung. Mobile Workforce Management in a Service-Oriented Enterprise: Capturing Concepts and Requirements in a Multi-Agent Infrastructure. In Robin Qiu (ed): Enterprise Service Computing: From Concept to Deployment. Enterprise Service Computing: From Concept to Deployment, Idea Group Publishing, 2006. D.K.W. Chiu, Q. Li and K. arlapalem. ADOME-WFMS: Towards Cooperative Handling of Workflow Exceptions, in Advances in Exception Handling Techniques, A. Romanovsky, C. Dony, J. L. Knudsen, A. Tripathi (Eds), Springer-Verlag, LNCS-2022, 2001:271-288. Yi Zhuang, Dickson K. W. Chiu, Guochang Jiang, Hua Hu, Nan Jiang: Effective Location-Based Geo-tagged Image Retrieval for Mobile Culture and Tourism Education. ICWL 2013: 152-161, Kenting, Taiwan, Sept 2013. Zhuang, Yi, D.K.W Chiu, Nan Jiang, Guochang Jiang, and Zhiang Wu. Personalized Clustering for Social Image Search Results Based on Integration of Multiple Features. In: Advanced Data Mining and Applications, pp. 78-90. Springer Berlin Heidelberg, 2012. Haiyang Hu, Hua Hu, Dickson K. W. Chiu: Optimizing Energy Consumption for Time-Constraint Data Query in Wireless Environment. CLUSTER Workshops 2012, Beijing China, 57-64, Sept 2012. Yi Zhuang, Nan Jiang, Zhiang Wu, Dickson K. W. Chiu, Guochang Jiang, Hua Hu: Bandwidth-Aware Medical Image Retrieval in Mobile Cloud Computing Network. 13th International Conference on Web-Age Information Management (WAIM 2012), Harbin, China, 322-333, Aug 2012. Cheuk-Ting Chan, Dickson K. W. Chiu, Web 2.0 with Alert Support for Busy Parents in Suzuki Method of Children Music Teaching. 10th International Conference on Web-Based Learning (ICWL 2011), Hong Kong, 62-7, Dec 2011. Panida Tansiri, Laor Boongasame, D.K.W. Chiu, Ho-fung Leung. Forming Buyer Coalition Schemes with Ontologies in E-marketplaces. First International Symposium on Web Intelligent Systems & Services (WISS2010), Hong Kong, Springer LNCS 6724, pp. 27-35, Dec 2010. Yuqing Sun, D.K.W. Chiu. Context-aware scheduling of workforce for multiple urgent events. 14th International Conference on Computer Supported Cooperative Work in Design (CSCWD), Shanghai, pp. 629-634, April 2010. Vincent C.T. Chan, D.K.W. Chiu, Michelle Watson, P.C.K. Hung, Haiyang Hu, Hua Hu, Yi Zhuang. Designing a Credit Approval System using Web Services, BPEL, and AJAX. International Conference on E-Business Engineering (ICEBE), Macau, pp. 287-294, Oct 2009. Benjamin Lui, D.K.W. Chiu, Haiyang Hu, Hua Hu, Yi Zhuang. Ontology Based Content Management for Digital Television Services. 3rd International Workshop on Service-Oriented Knowledge Management (SOKM'09), Macau, Proceeding of International Conference on E-Business Engineering (ICEBE), pp. 565-570, Macau, Oct 2009. C.J. Wang, D.K.W. Chiu and H.F. Leung. A Persistent Conversation Protocol Supporting Anonymity and Security, 4th International Conference on Cooperative Internet Computing (CIC 2006), Hong Kong, Oct 2006. I. Kafeza, E. Kafeza and D.K.W. Chiu. Legal Aspects of Security in e-contracting with Electronic Agents. The Independent European ICT Security Conference, Budapest, Hungary, Sept 25-27, 2005. P.C.K. Hung and Dickson K.W. Chiu. Developing Workflow-based Information Integration (WII) with Exception Support in a Web Services Environment,37th Hawaii International Conference on System Sciences (HICSS37), Jan 2004. D.K.W. Chiu, S.C. Cheung, Danny Kok* and Alex Lee*. Integrating Heterogeneous Web Services with WebXcript, 27th Annual International Computer System and Applications Conference (COMPSAC 2003), Sept 2003, Dallas, Texas, IEEE press, pp.272-277. S.C. Cheung, H. Cureem, D.K.W. Chiu and P.C.K. Hung. Implementing Watermark Token in WS-Security for Digital Content Distribution, First International Conference on Web Services (ICWS'03), June 2003, Las Vegas, pp.415-419. D.K.W. Chiu, S.C. Cheung and P.C.K. Hung. Developing e-Negotiation Process Support with Web Services, First International Conference on Web Services (ICWS'03), June 2003, Las Vegas, pp.97-103. E. Kafeza, D.K.W. Chiu, and S.C. Cheung. Alert-driven Process Integration in a Web Services Environment, First International Conference on Web Services (ICWS'03), June 2003, Las Vegas, pp145-151. Patrick C. K. Hung and Dickson K. W. Chiu. Workflow-based Information Integration in a Web Service environment, First International Conference on Web Services (ICWS'03), June 2003, Las Vegas, pp10-16. D.K.W. Chiu, S.C. Cheung and H.F. Leung. A Three-Tier View-based Methodology for Adapting Human-Agent Collaborative Systems, 15th International Conference on Advanced Information System Engineering (CaiSE'03), June 2003, Velden, Austria, Springer LNCS 2681:226-241. S.C. Cheung, H. Cureem and D.K.W. Chiu. A Watermarking Infrastructure for Digital Rights Protection, 4th International Conference on Electronic Commerce, Hong Kong, Oct 2002. D.K.W. Chiu, S.C.Cheung, K. Karlapalem, Q. Li and Sven Till. Workflow View Driven Cross-Organizational Interoperability in a Web Service Environment. Web Services, E-business and Semantic Web Workshop, with International Conference on Advanced Information Systems Engineering, Springer LNCS 2512, pp.78-92, May 27 - 31, Toronto, Ontario, Canada, 2002. D.K.W. Chiu. Workflow Management Systems as Meta-Agents in a Multi-Agent Information System, 3rd International Bi-Conference Workshop on Agent Oriented Information Systems (AOIS-2001), Interlaken, Switzerland, June 2001, pp.1-12, Books on Demand GmbH, ISBN 3-8311-2138-9. D.K.W. Chiu, Q. Li and K. Karlapalem. A Framework for Flexible Workflow Enactment and Evolution in an Advanced Object Environment, 7th International Conference on Database Systems for Advanced Applications (DASFAA01), Hong Kong, April 20, pp148-149, IEEE press. D.K.W. Chiu, Q. Li and K. Karlapalem. E-ADOME: A Framework For Enacting E-services, VLDB Workshop on Technologies for E-Services, Cairo, Eygpt, Sept 2000. D.K.W. Chiu, Q. Li and K. Karlapalem. Web Interface-Driven Cooperative Exception Handling in ADOME Workflow Management System. 1st International Conference on Web Information System Engineering (WISE'00), Hong Kong, June 2000, pp157-165, IEEE press. D.K.W. Chiu, Q. Li and K. Karlapalem. A Logical Framework for Exception Handling in ADOME Workflow Management System, International Conference on Advanced Information System Engineering (CaiSE'00), Stockholm, Sweden, June 2000, LNCS1789:110-125. D.K.W. Chiu, K. Karlapalem and Q. Li. Exception Handling with Workflow Evolution in ADOME-WFMS: a Taxonomy and Resolution Techniques, Adaptive Workflow Workshop, November 14, 1998 as part of the 1998 Conference on Computer-Supported Cooperative Work. D.K.W. Chiu, K. Karlapalem and Q. Li. Developing a Workflow Management System in an Integrated Object-Oriented Modeling Environment, 10th International Conference on Software Engineering and Knowledge Engineering (SEKE98), pp71-78, San Fransisco, USA, June 18-20, 1998. D.K.W. Chiu, K. Karlapalem and Q. Li. Poster on "Exception Handling in ADOME Workflow Management System, Second IFCIS International Conference on Cooperative Information Systems (CoopIS'97), Charleston, South Carolina, USA, June, p227, 1997. L.C.Chan, D.K.W.Chiu, Q.Li. A Versatile Bridging Mechanism with a Experimental User Interface for An Expert OODBMS, Computer Science Dept., Hong Kong University of Science and Technology, Technical Report HKUST-CS95-35, 1995.